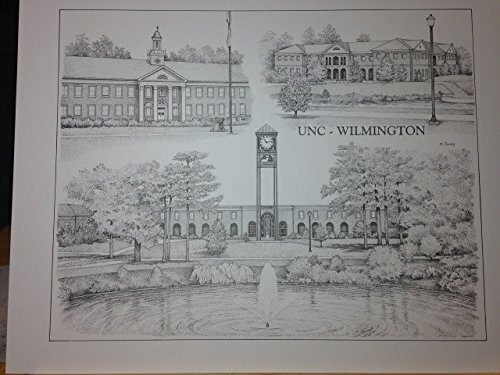 Limited Edition pen and ink print from hand-drawn original of University of North Carolina-Wilmington campus. Includes scenes of the Bell Tower/Library Student Union and Hoggard Hall, all notable landmarks on UNC-Wilmington campus. It is from a series of 500 prints and is signed and numbered. Your purchase includes print, foam-core backing, and about-the-artist flyer within an acid-free packaging. Fingerprint Tree custom wedding guestbook - Original thumbprint guest book alternative (Medium Size Fall Tree) includes 2 ink pads! !